Chives are a member of the leek family and have an onion-like flavour. 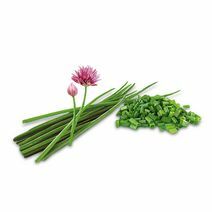 Chives are a versatile herb used in many kitchens to refine fresh sauces, soups, or dips, and make a perfect addition to fromage frais or cream cheese. Basically, chives work well with anything that can be seasoned with onions. 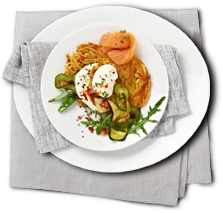 The herb develops its fresh aroma particularly well when freshly cut or chopped, rather than dried or freeze-dried. In our Exquisa Creation chives, this ingredient harmonises perfectly with our whipped fromage frais, creating an incomparable, aromatic favour.